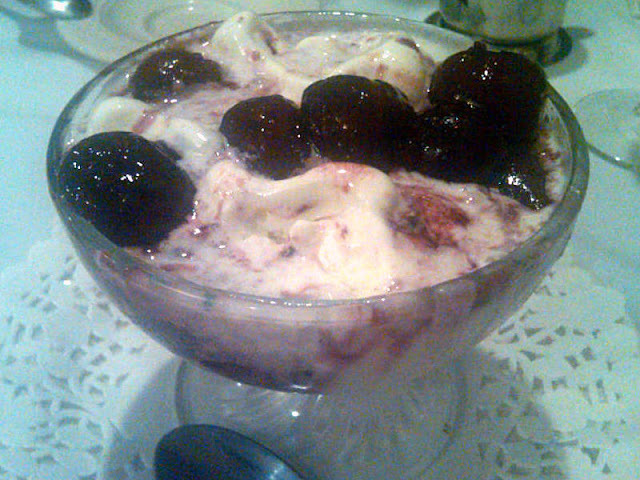 On Sunday, after a lively visit with DH's mother at "the institution" as she calls the assisted living residence where she lives, we stopped for dinner at Don Pepe II, a restaurant in New Jersey we'd passed many times. This Spanish restaurant specializes in seafood (always a challenge for DH who is deathly allergic to shellfish), and everything was delicious. I was quite looking forward to dessert, as always, but my heart sank when the waiter brought the menu. Listed at the top was a cliche of mediocre desserts, the kind I suspect were made in an Iowa factory six months earlier and shipped frozen to restaurants throughout the country. 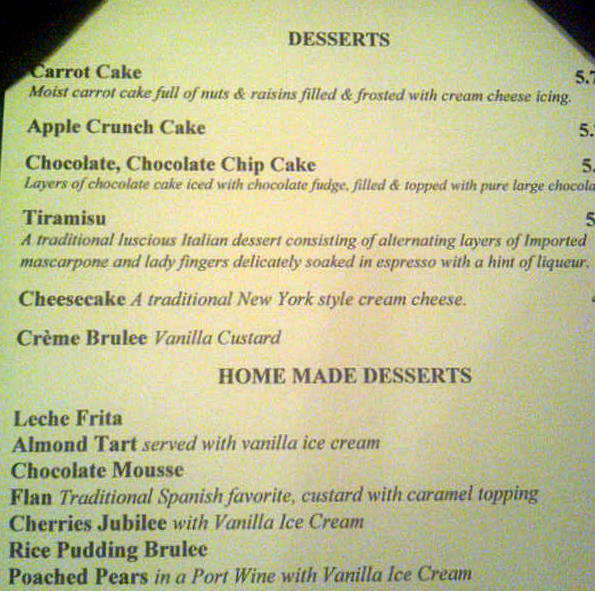 But then -- much to my delight -- below that list was one that said "Home Made Desserts." Bingo!